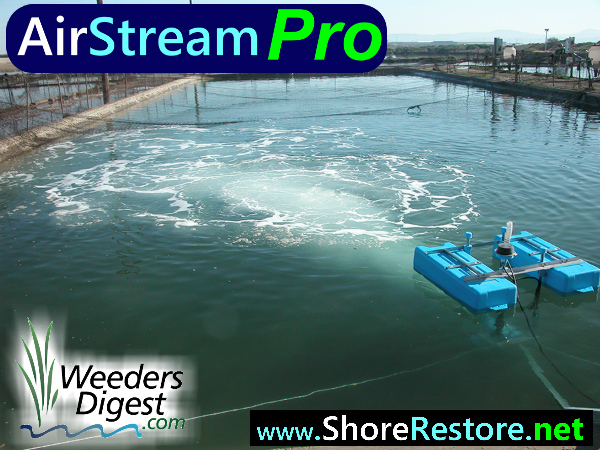 This breakthrough technology brings jet aeration and high volume circulation together to provide one high quality system. Efficient, effective and developed specially for increasing the circulation and oxygen throughout water in Ponds & Lakes to reduce aquatic vegetation, improve water quality & keep the life within alive and in good health. LARGER COMMERCIAL VERSIONS AVAILABLE - Please contact us for more info. The Airstream Required a 220volt setup. You will need "NEMA 6-20 receptacle" & "NEMA 6-20 plug"
It's not very often I write a review but these guys certainly earned it. All of the lake's garbage blows to our shore and we're right on the end so it's like a big catcher's glove. Nothing had ever been done in front of our house and we had about 48" of muck and weeds at the end of our dock. We ordered the dock mount unit to put on our floating dock and we floated the dock from one side of our property to the other last year. The aerator did an amazing job of removing the muck and weeds. The lakefront is drastically improved and is very noticeable. Skeptical at first, but this thing works GREAT!! Let me start out by saying I was skeptical of the airstream working, but I was mistaken. This thing works GREAT!! I work for a world leading company that grows bacteria and talked to some of the microbiologists about this technology and they all said it should work well for what I am trying to accomplish. We live on a channel that is roughly 60' wide and have 360' of frontage that was choked off by weeds and lily pads and had a roughly 4' layer of muck on the bottom. After the first 2 weeks of using the airstream you could already see a big difference in the amount of weeds and the water clarity. There was so many weeds and roots floating up from the bottom that I had to go out in a boat and scoop them up!! There were lily pad roots coming up that were literally 6-7' long, I was shocked!! Seeing this it was no surprise to me why my years of raking with a weed rake didn't have much effect, I could never get those roots out of the muck. After the first summer of using this we eliminated about a foot to foot and a half of muck. This muck was actually eaten by the bacteria that grew up from the oxygen rich water, not just pushed to our neighbors shore. You can clearly see the bottom and the muck is gone, AMAZING!! In some areas we are down to firm bottom already. To anyone looking at the airstream I would suggest pulling the trigger on it. Two of our neighbors are already buying one since they saw our results. While it isn't cheap and does use a fair amount of electricity, it is much cheaper than dredging and doesn't require a permit. The technology behind this is scientifically sound and proven. The airstream is well made. It should last for many years of use. Just wish I would have found this product years ago. 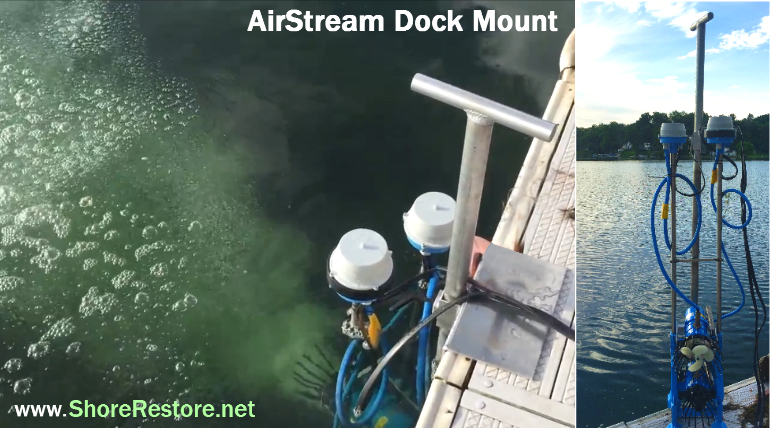 After 2 weeks with airstream pro 75% of floating algae is gone, seems to work much better than 1000's of $ of chemicals and our wind mill double diffuser aerator. Our 2 acre pond looks the best it has for years. Excellent company to deal with, these guys really went the extra mile for me. No issues shipping to Canada. I have had the Airstream for a week and it's already transforming our waterfront from a mucky, weedy mess to a clean, pebbly, rocky shoreline. I started wearing waders to go in and move the Airstream around. In another week it will be flip flops! 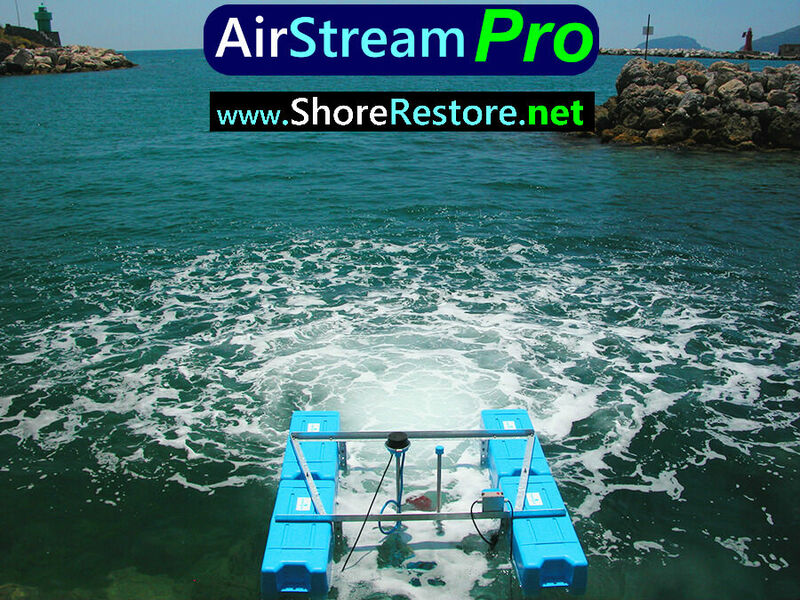 Ordered the Air Stream last spring and used to help get rid of all of the weeds and sediment on our swimming area so our kids could actually enjoy swimming. Our beach had a ton of seaweed and about 10 inches of a muddy bottom before we bought this machine. Now almost all of that has cleared in the areas we want to swim. So far we have had no issues with it and its still running strong.